Those that can’t write, Review! In my house, “What do you want for Christmas?” is becoming a standard question. One of the nice things about children is they volunteer the answer without being asked. While the name of the holiday may change this question is a common one. Here are some suggestions that you might use to answer the question or to supply an answer for someone else. Creating a Confederate Kentucky: The Lost Cause and Civil War Memory in a Border State by Anne Elizabeth Marshall and My Old Confederate Home: A Respectable Place for Civil War Veterans by Rusty Williams complement each other. Together, they give us a unique look at post war America. The divisions going into and coming out of the war are all present in Kentucky. The state is unique in not being subject to Reconstruction but developed a Confederate identity after the war. A good third book is Gary W. Gallagher’s Causes Won, Lost, and Forgotten: How Hollywood and Popular Art Shape What We Know about the Civil War. This book looks at how we remember the war and the popularity of the Confederacy in popular art. Causes Won, Lost, and Forgotten: How Hollywood and Popular Art Shape What We Know about the Civil War by Gary W. Gallagher will complement the above books. Gallagher looks at how we view the events of 150 years ago today. The Civil War Battlefield Guide, Second Edition [Paperback] by Frances H. Kennedy is not the highly detailed guide seasoned battlefield walkers want. It is a wonderful overview of the 384 designated as the “principal battlefields” in the Civil War Sites Advisory Commission Report. The essays are authoritative and concise, written by such leading historians as James M. McPherson, Stephen W. Sears, Edwin C. Bearss, James I. Robinson, Jr., and Gary W. Gallagher. If you want a Gettysburg guidebook this might be the best one. THE COMPLETE GETTYSBURG GUIDE: Walking and Driving Tours of the Battlefield, Town, Cemeteries, Field Hospital Sites, and other Topics of Historical Interest J. David Petruzzi. Civil War Sesquicentennial Series from The History Press are small paperback books on a specific subject. At about $20 each, they make an excellent stocking stuffer or a small gift. My experience is with The Confederacy’s Secret Weapon (SC): The Civil War Illustrations of Frank Vizetelly (Civil War Sesquicentennial Series) by Douglas W. Bostick. Failure in the Saddle: Nathan Bedford Forrest, Joe Wheeler, and the Confederate Cavalry in the Chickamauga Campaign by Dave Powell. Draws upon a massive array of primary accounts, many previously unpublished, to offer a detailed examination of the Southern cavalry’s role in this fascinating campaign. The result is a richly detailed and elegantly written study full of insightful tactical commentary, new perspectives on the strategic role of the Rebel horsemen, and fresh insights on every engagement, large and small, waged during the bloody North Georgia campaign. Creating a Confederate Kentucky: The Lost Cause and Civil War Memory in a Border State by Anne Elizabeth Marshall looks at the development of a Confederate identity between 1865 and 1925. The Rashness of that Hour: Politics, Gettysburg, and the Downfall of Confederate Brigadier General Alfred Iverson by Robert Wynstra. On afternoon of July 1, 1863, much of Alfred Iverson’s brigade is killed, wounded, or captured in a single action. This book looks at politics and how it advanced and protected during the Civil War. Manifest Destinies: America’s Westward Expansion and the Road to the Civil War by Steven E. Woodworth looks at America in the 1840’s. This is when America’s westward expansion creates the questions that plague the 1850s. Woodworth is one of our best authors and this is an informative and enjoyable read. Abraham Lincoln and the Structure of Reason by David Hirsch & Dan Van Haften, looks at the idea that Lincoln’s in-depth study of geometry gave our sixteenth president his verbal structure. Notre Dame in the Civil War: Marching Onward to Victory by James M. Schmidt. Notre Dame gave freely of its faculty and students as soldiers, sent its Holy Cross priests to the camps and battlefields as chaplains and dispatched its sisters to the hospitals as nurses. Though far from the battlefields, the war was ever-present on campus, as Notre Dame witnessed fisticuffs among the student body, provided a home to the children of a famous general, responded to political harassment and tried to keep at least some of its community from the fray. At war’s end, a proud Notre Dame welcomed back several bona fide war heroes and became home to a unique veterans’ organization. “Human Interest Stories of the Gettysburg Campaign” by Scott L. Mingus, Jr. and Dr. Thomas M. Mingus. A collection of war stories culled from some of the funniest, most ironic, or otherwise interesting true tales from the Civil War. The Notorious “Bull” Nelson: Murdered Civil War General by Donald A. Clark is scheduled for the end of the month. The book is an examination of this irascible officer, his numerous accomplishments, and his grim fate. This just appeared with no information beyond the title, author and that it is 300+ pages. Books on Shiloh always rate a “look see”. Shadow of Shiloh: Major General Lew Wallace in the Civil War by Gail Stephens. Bloody Times: The Funeral of Abraham Lincoln and the Manhunt for Jefferson Davis by James L. Swanson is another book on this subject from the author of Manhunt: The 12-Day Chase for Lincoln’s Killer. Colonization after Emancipation: Lincoln and the Movement for Black Resettlement by Phillip W. Magness & Sebastian N. Page is a detailed look at this “solution” to slavery. Border War: Fighting over Slavery before the Civil War by Stanley Harrold looks at the years leading up to the war on the border between “Free” and “Slave”. The author takes the position that this constant conflict pushed the South into secession. This book has missed its’ November publication date. The Civil War: The First Year of The Conflict Told by Those Who Lived It edited by Brooks Simpson, Stephen Sears and Sheehan-Dean Aaron. The Great Heart of the Republic: St. Louis and the Cultural Civil War by Adam Arenson looks at this city during the years surrounding the war. A Second edition of Scott Mingus Sr. Flames Beyond Gettysburg containing more than 50 new anecdotes from newly discovered primary source material. Two guides by Clint Johnson Touring The Carolinas’ Civil War Sites is a 2011 update of the 1996 original publication featuring 17 point to point driving tours of Civil War sites in both Carolinas. Touring Virginia’s and West Virginia’s Civil War Sites is a 2011 update of the 1999 original publication featuring 19 point to point driving tours in Virginia and West Virginia. A Glorious Army: Robert E. Lee and the Army of Northern Virginia from the Seven Days to Gettysburg by Jeffery Wert from Simon & Schuster is scheduled for the 19th. Scott C. Patchan’s Second Manassas: Longstreet’s Attack and the Struggle for Chinn Ridge is scheduled for the end of April. At 1,280 pages, Hearts Touched by Fire: The Best of Battles and Leaders of the Civil War might require some heavy lifting. The book is adapted from the series published from 1884 to 1887 in the Century magazine by James M. McPherson, James L. Robertson Jr., Stephen W. Sears, Craig L. Symonds and Harold Holzer. Defeating Lee: A History of the Second Corps, Army of the Potomac by Lawrence A. Kreiser Jr.
An official sesquicentennial Civil War publication, Civil War Voices from York County, Pennsylvania: A Border County Remembers the Rebellion by Scott L. Mingus Sr. and James E. McClure contains a heavy focus on the Gettysburg Campaign and Jubal Early’s occupation and J.E.B. Stuart’s march through the county. Sing Not War: The Lives of Union and Confederate Veterans in Gilded Age America (Civil War America) by James Marten looks at “army veterans reentered–or struggled to reenter–the lives and communities they had left behind.” We have very little of this type of information about “good wars” and this should be a valuable addition to what we have. At almost 1,000 pages, Amanda Foreman’s A World on Fire: Britian’s Crucial Role in the American Civil War is going to be worth looking at. An audio book is being released the same day. Second Manassas: Longstreet’s Attack and the Struggle for Chinn Ridge by Scott C. Patchan. John Hennessey wrote the introduction for this history of Longstreet’s decisive attack. Thunder Across the Swamps, the second book in the Louisiana Quadrille series, covering the war for the lower Mississippi from February to May 1863. 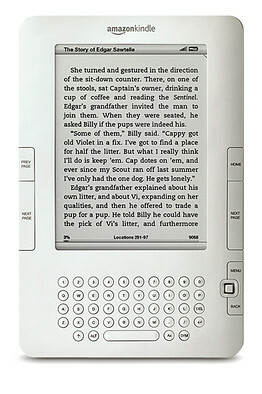 The first book in the series won the Laney Prize. The Maryland Campaign of September 1862, Volume 2: Antietam edited by Thomas G. Clemens is the second part of the Ezra Carman manuscript, covering the battle is expected in the summer of 2011. John F. Blair Publisher will release updates of Clint Johnson’s Touring The Carolinas’ Civil War Sites (1996), and Touring Virginia’s and West Virginia’s Civil War Sites (1999) in the spring of 2011. These are point to point driving tours of sites including battlefields, historic houses, and the graves of generals or otherwise famous people. Steve Stanley and J. David Petruzzi are hard at work on The Complete Antietam Campaign Guide expected release is summer 2011. Antietam Chief Historian Ted Alexander is penning the Forward. The book will be similar in format to their The Complete Gettysburg Guide. This book will feature Harpers Ferry, South Mountain, Antietam, and Shepherdstown plus many points in between. Eric Wittenberg is working on a project is for The History Press entitled The Battle of Yellow Tavern: Jeb Stuart’s Last Battle. This will be a study of Phil Sheridan’s May 1864 raid on Richmond, with particular focus on the May 11, 1864 Battle of Yellow Tavern, where Jeb Stuart is mortally wounded. In addition, he is writing a study of the Battle of White Sulphur Springs, August 26-27, 1863, for publication by The History Press. In addition, we can look forward to a book on the August 1863 Law Book Raid, which led to the August 26-27, 1863 Battle of White Sulphur Springs. A complete history of the Iron Brigade from Lance J. Herdegen is in the works. His Those Damned Black Hats!, the Iron Brigade during the Gettysburg Campaign won The Army Historical Foundation Distinguished Writing Award for Operational Battle History. Joseph R. Reinhart expects German Hurrah! 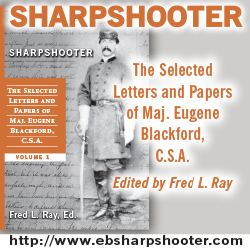 : Civil War Letters of Friedrich Bertsch and William Stängel, 9th Ohio Infantry to be out in the Spring. The book contains 110 translated letters written by two fiery, highly opinionated German-born officers who fought in the Ninth Ohio Infantry Regiment during the American Civil War. Published in two German-American newspapers, the letters helped connect German Americans in the Ohio Valley to their native landsmen at the battlefront. Gettysburg Glimpses 2: More True Stories from the Gettysburg Campaign by Scott L. Mingus Sr. This is the fourth in a series of very popular books about human interest stories from Gettysburg, this installment offers more than 200 of the best anecdotes, amusing incidents, and funny stories from the Gettysburg Campaign. Human Interest Stories from the Civil War by Scott L. Mingus Jr. and Dr. Thomas M. Mingus. Similar in style and variety as the Gettysburg series by Scott L. Mingus Sr., this inaugural work by two professionally trained historians/educators contains some of the very best stories from the Civil War. Many have not been retold since the 19th century. Balanced between Union and Confederate accounts, this upcoming new book covers the gamut of the war from 1861 through 1865 with many very amusing true tales. Savas Beatie is busy with a two-volume set on The Petersburg Campaign, taken from a series of unpublished battle studies written by Ed Bearss, edited by Bryce Suderow in the works. This has no publication date. They have an option to publish Scott L. Mingus, Sr.’s next book Gettysburg’s Controversial Old General: Governor William “Extra Billy” Smith of Virginia. In an effort to support sesquicentennial publishing this will be part of this column through 2015. If you know of a book, please contact me so it can be included. Pennsylvania authors Scott L. Mingus, Sr. and James McClure have been collecting, editing, and assembling more than 200 Civil War era human-interest stories from York County, Pennsylvania, from the. They capture the memories of residents who actually knew and talked with Civil War veterans and/or the civilians whose lives were impacted by the war and the Confederate invasion of south-central Pennsylvania. Support by the York Daily Record, the York County Heritage Trust, and the Pennsylvania 150 Civil War committee, the book will contain an interesting mixture of oral and written reminiscences from the 19th century inhabitants of York County. Civil War Voices from York County, Pennsylvania: Remembering the Rebellion and the Gettysburg Campaign is due April 2011 from Colecraft Books. New Jersey Goes to War edited by Joseph G. Bilby is part of the New Jersey Civil War Sesquicentennial and contains 150 biographies of New Jersey citizens that lived during the war. This book can be read either as a series of short bios or as a book. Either way, it is informative and enjoyable. Only available from www.njcivilwar150.org 100% of the purchase price goes to support the New Jersey Civil War Sesquicentennial. All those involved contributed their time and contributions paid for printing.